We sell replacement barrels for all of the tumblers on our website. Many people who tumble buy an extra barrel and use it only for the polishing step. No grit goes into that barrel - only polish. This helps prevent grit contamination during the final polishing step. Other people clean the barrel and stones by tumbling their stones for 24 hours in a thick soap solution made with Ivory bar soap and water to clean both the stones and the barrel. 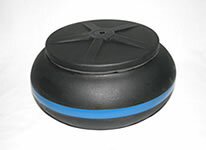 This is a two pound capacity rubber barrel that fits the Thumler's Model MP-1 rock tumbler. 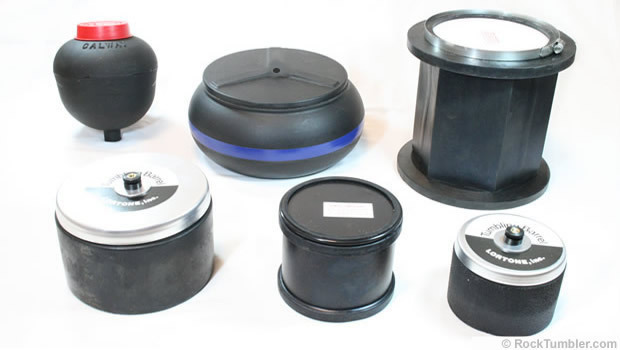 It includes the soft rubber barrel, lid and sealing ring. TIP: Get an extra barrel and dedicate it to the polishing step. This significantly reduces the possibility of grit contamination. 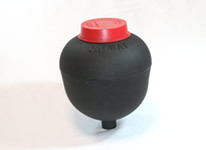 This is a three pound capacity rubber barrel that fits the Thumler's Model A-R1, Model A-R2, and Model T rock tumblers. 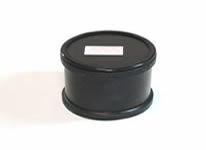 It includes the soft rubber barrel, lid and sealing ring. TIP: Get an extra barrel just for the polishing step. 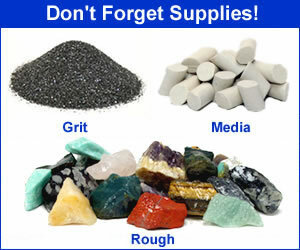 This significantly reduces the possibility of grit contamination. 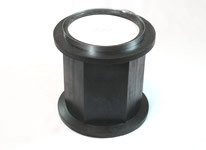 Here is a nine-pound capacity barrel to fit the Thumler's Model A-R6 rock tumbler. It includes the soft rubber barrel, the lid and retainer ring. 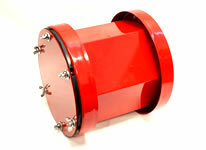 This is a complete, ready to use, A-R12 rock tumbler barrel. 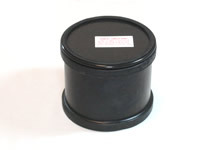 It is a 12-pound capacity rubber barrel with hard plastic lid and metal retainer ring. A 15-pound capacity tumbler barrel designed for the Thumler's Model B rock tumbler. It includes the metal frame, metal lid, soft rubber insert, lid gasket, wing nuts and washers. Outside height includes washer and wing nut. See more detailed barrel and liner dimensions here. 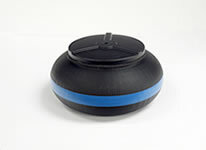 This is the 4-pound capacity bowl for Thumler's UV Mini Bowl vibratory tumbler. It comes with the lid, lid pad and bowl. Washers and wing nuts sold separately. Not recommended for use on Thumler's UV-10 Industrial. 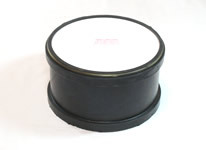 This bowl fits the Thumler's UV-10 industrial vibratory rock tumbler. It has a ten pound capacity. Included is the bowl and lid with lid pad. Washers and wing nuts sold separately. 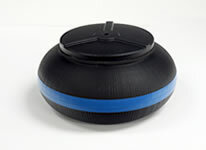 This bowl fits the Thumler's UV-18 vibratory rock tumbler. It has an eighteen pound capacity. Included are the bowl, lid and lid pad. Washers and nuts sold separately. This is an extra barrel and cap for the Lot-o-Tumbler. It has a four-pound capacity and fits both the Lot-o-Tumbler Single and the Lot-o-Tumbler Twin.